Theosophical Society Wheaton Presents Dr. Eben Alexander Awakening Consciousness Sound Workshop May 16 | Be Kind. We're all in this together. 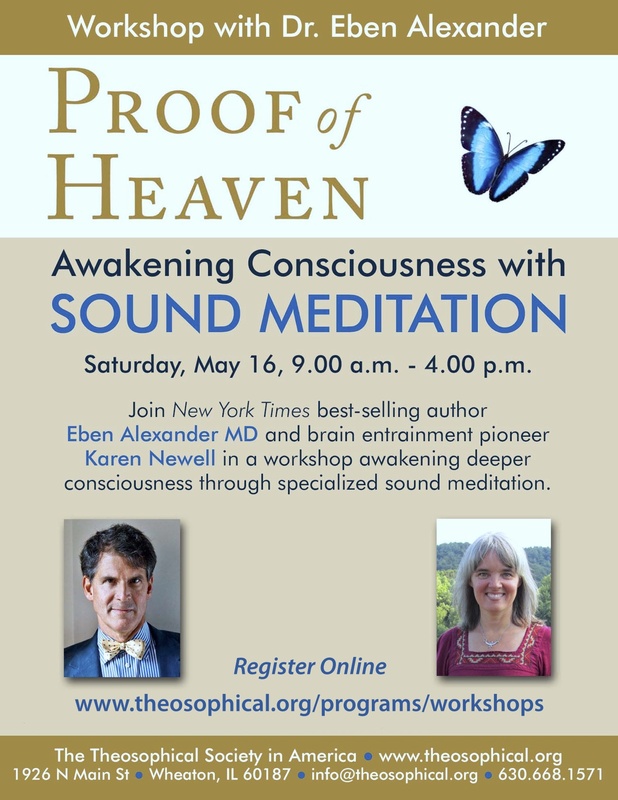 May 13 2015 Wheaton IL –New York Times best-selling author Eben Alexander MD and brain entrainment pioneer Karen Newell will be offering an all-day interactive workshop designed to awaken deeper consciousness through cutting-edge sound meditation at the Theosophical Society in Wheaton IL on Saturday May 16th. In his book, Proof of Heaven: A Neurosurgeon’s Journey Into the Afterlife, Dr. Alexander describes his unique near-death experience and the places he encountered in the “afterlife.” In this workshop he will talk about his inner journey then and now, his latest observations on science and spirituality, and the lessons, experiences and enigma of consciousness. He will be joined by Karen Newell, co-founder of Sacred Acoustics, who will explain the technology of brain entrainment. They will lead the group on experiential journeys that use specific and varying sounds to enhance a deep meditative state of oneness. There will be ample time to process, ask questions and discuss how to integrate the insights from meditation into everyday living. The inter-active workshop will be held at the Theosophical Society in America, 1926 North Main Street, Wheaton IL Saturday May 16th 9 AM to 4 PM. Cost for the workshop is $100 and participants may register in advance online at theosophical.org/programs/workshops or by calling 630.668.1571. 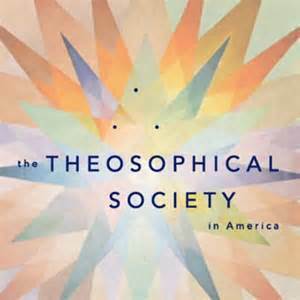 The TSA website is theosophical.org. This entry was posted in Uncategorized and tagged Afterlife, brain entrainment, Chicago Events, Chicago Workshops, Consciousness, Dr. Eben Alexander, near death experience, Sacred Acoustics, Sound Meditation, Theosophical Society Wheaton, Theosophical Society Wheaton Workshops. Bookmark the permalink.